The Morphy Richards Accents Rose Gold 4 Slice Toaster features 4 toasting slots and elegant rose gold details, making it a convenient and stylish kitchen appliance for your home. The Morphy Richards Accents Rose Gold 4 Slices Toaster features deep, self-centring toasting slots to evenly toast bread on both sides. Featuring variable browning control, this 4 slices toaster lets you decide how you want your bread toasted.This Accents rose gold toaster has a Frozen bread and reheat settings, as well as a cancel button to suit your needs. 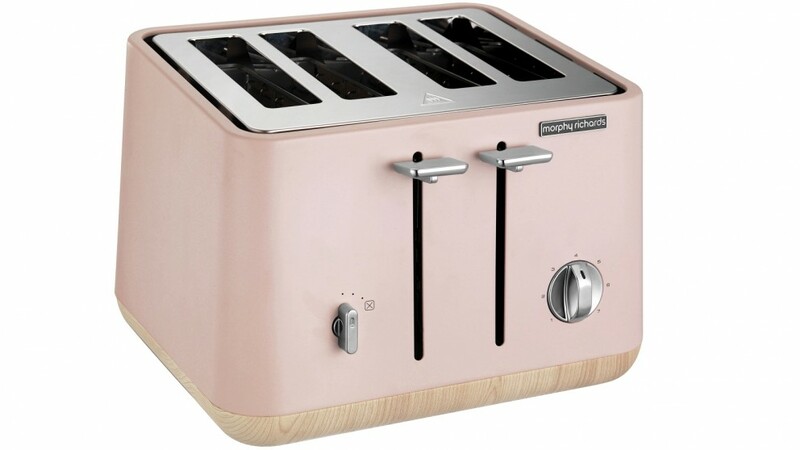 With a high-lift facility, this rose gold toaster allows you to easily get the toast out of its slots. For easy clean-up and added stability, the Morphy Richards 4 slices toaster has a removable crumb tray and non-slip feet. The Morphy Richards 242107 Toaster was added to the Toasters category in December 2017. 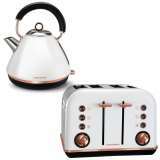 The lowest price GetPrice has found for the Morphy Richards 242107 Toaster in Australia is $99.00 from Billy Guyatts.